Looking for a reason to go to England? The Medieval Academy of America may have something just for you. This fall, it's launching a travel program modeled on lifelong learning programs run by traditional universities, and the itinerary definitely has the Anglobibliophile in mind. From October 23-28, Medieval Academy of America executive director Lisa Fagin Davis will be leading the five-day, four-night tour that winds through London and Oxford. 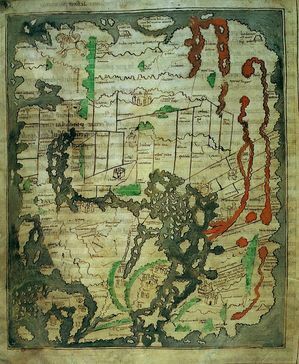 Dubbed "The Anglo-Saxons: Britain before 1066," the excursion includes a visit to Anglo-Saxon Kingdoms on display at the British Museum and Tolkien: Maker of Middle-earth at the Bodleian Library in Oxford. (Be sure to read the fall issue of FB&C for a review of the Tolkien show.) This is the only week both exhibitions will be on view at the same time. While in London, the group will take in a performance of "King Lear" with Sir Ian McKellen in the title role of one of Shakespeare's greatest tragedies, as well as a curatorial tour of the Tolkien exhibition.